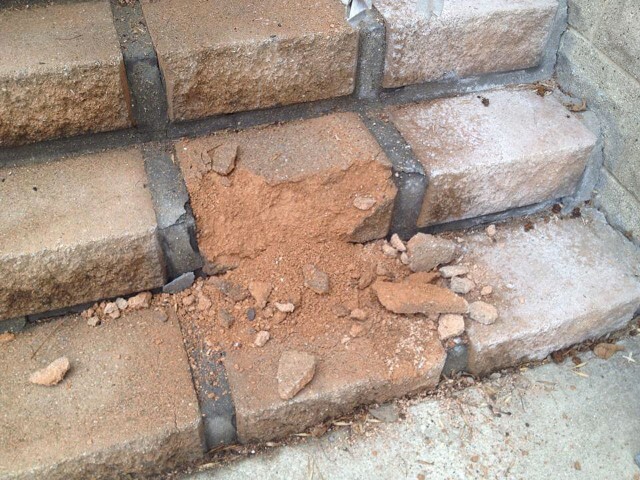 We spent the weekend replacing the crumbling infrastructure that was our front steps. We moved into this house in 2013 and less than a year later the steps were looking pretty sad. 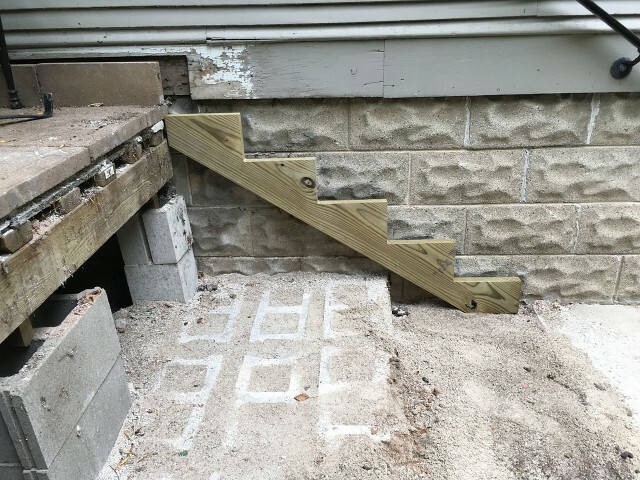 They were built by the previous owner using stones that weren’t really meant to be steps. The first repair we did involved pulling out the bad stones are replacing them. This was a quick-fix that lasted long enough for us to do a complete rebuild, which is what we did. We spent Friday pulling out all of the stones. I got to work with a chisel and hammer and started the removal and when Dana came out to check on me she explained that I was working way too hard and the stones would just pull loose without much chiseling. As usual, she was right and things went much faster after that. 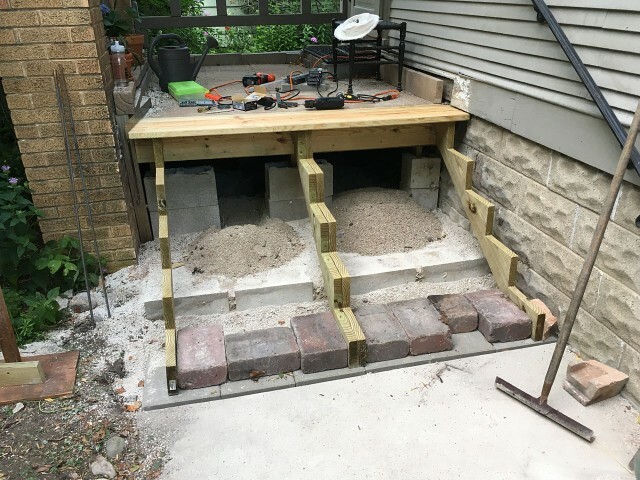 We got all the old steps out and were left with lots of cinder blocks and gravel. The cinder blocks and gravel I’m talking about aren’t even in the photo. We filled a giant bucket of gravel and we put about 20+ cinder blocks on the curb. Hank then gave us lots of advice and a few suggestions for how to fix things up. He suggested quick set concrete and some 4x4s as posts under the stringers. We thought about that and while Hank drove away to unload more stones (including 5 buckets of busted up stuff) we ran to Lowes (again) and when we came back found that Hank had made another trip, grabbed all the stones we offered him, left us a few 6x6s pieces of wood (thanks!) and his business card. Awesome. Thanks, Hank! 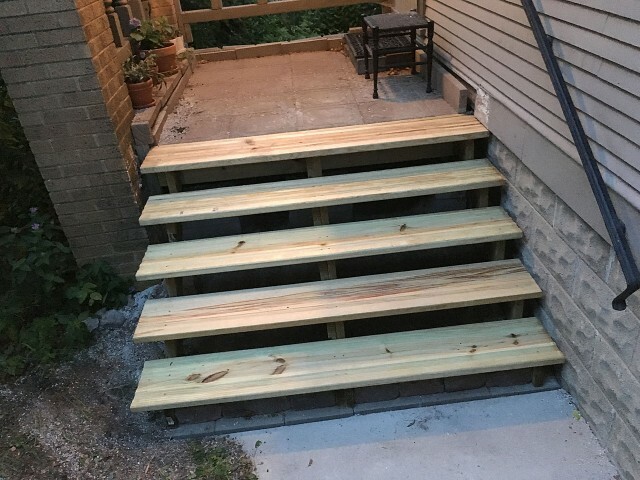 We originally bought 3 foot wide steps (because that’s all Lowes had) with the idea we’d do a double stringer in the middle and basically two sets of steps next to each other. After some discussion on the matter Dana made some phone calls and found out we could get 6 foot wide steps at Menards. While we prefer Lowes or even Home Depot to Menards, we drove over and picked up 5 of the 6 foot wide steps. I left the double stringers together since I figured more stringers are better, right? Right. You might also notice in the photo that we added a 10×2 to the front of the porch so we could attach the stringers to something. 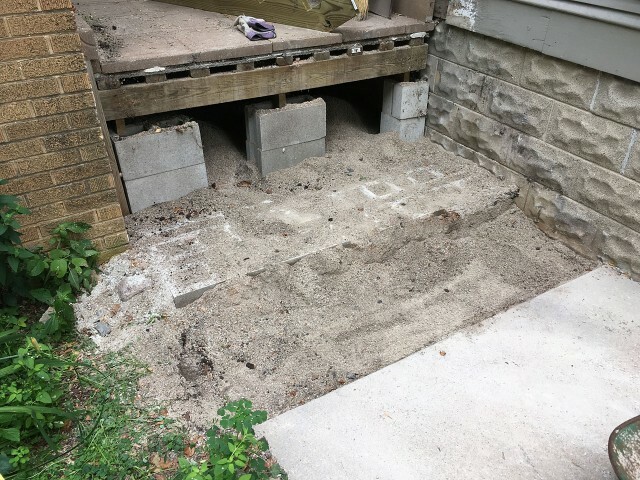 This also helped push the steps out another (almost) two inches so the front would be a bit closer to the concrete, creating a smaller gap. After 12 hours of fun on Saturday we ended with this. Stringers are in place (attached to the 10×2 board) stones are under the end of the stringers (with the rebar in place, as Hank suggested) and the steps are attached. Painted screws were use for everything so they don’t cause issues with the weather treated lumber. We still need to cut the boards for the risers and put them in place, and put a side piece on to make things a bit more cleaner, and keep the animals out, but the steps are functional, so that’s the important part. These tools belonged to my dad, and they still work quite well. I find it interesting that many of the tools we use today (computers, phones, and even software) will not be used by our children when they are our age. By that I mean, the actual tools we use. 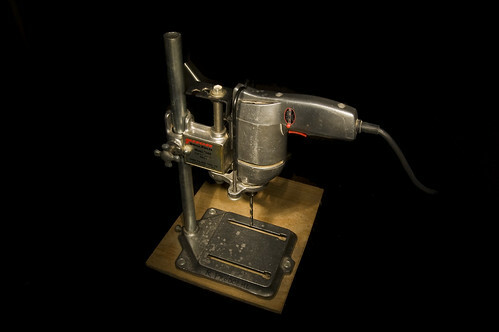 If you’ve got a PowerBook now, you’ll probably replace it in a few years, and then replace that, and replace that, and on and on… in comparison, the jig saw and the drill press were the exact same ones my dad used over 25 years ago to make things. Maybe the cycle is just sped up… I just gave my kids the old 20″ iMac because I replaced it with a MacPro. Of course in a few years that iMac will seem slow and outdated, or it will break, or die, or somehow become useless. The lifecycle of our tools for digital work seems so short… My youngest daughter asked if she can have my DSLR when I get a new one. Is it normal for her to think I will get a newer (better, faster) camera at some point? I’m sure I will… but I’m also sure that in 10 years she’ll be able to buy a newer (better, faster) camera for half of what I paid for mine. 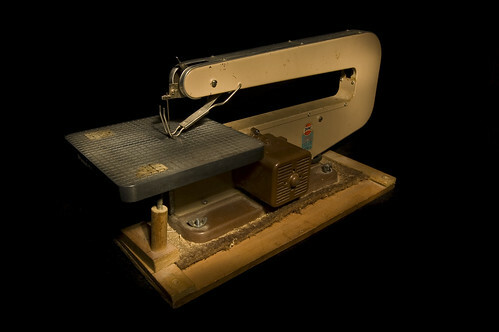 Is this the price of progress, or is it just the difference between tools that create things in the physical world vs. tools that create things in the digital world?